Anything’s possible with a staple gun and a vision. They say that one person’s trash is another one’s treasure, and I seem to be guilty of finding treasures everywhere. This time, it was someone else’s treasure hunting instincts that brought us a wonderful new addition. When a friend threw out this 40’s lyre dining chair, my lovely mother-in-law-to-be quickly rescued it from its untimely demise. Being that I mostly love things mid century modern, I wasn’t sure if it would have a permanent place in our home. But a vision suddenly appeared in my head when we were coming up with ideas to fill an empty hallway in our house. And so began the sanding and prepping of our new treasure (hot alert: handyman with tools). 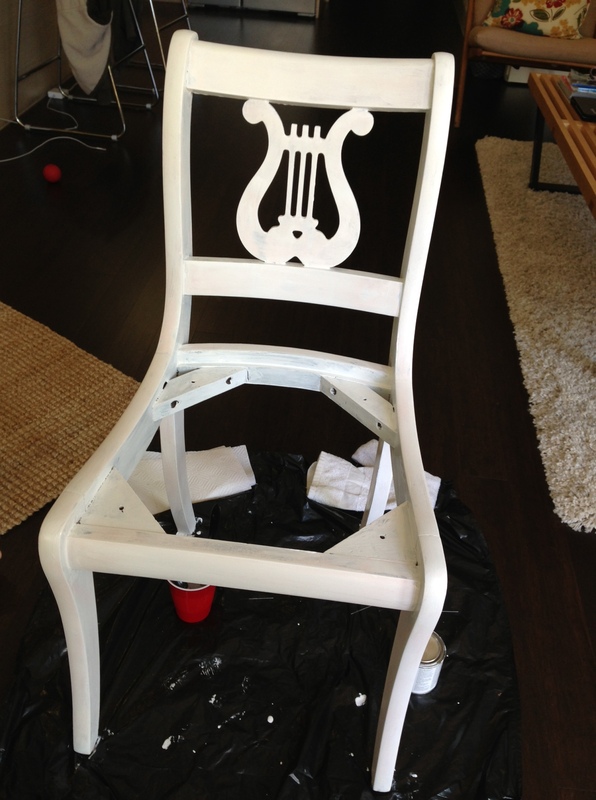 With a little help from my partner-in-crime, a.k.a hot handyman, our chair was well on its way to becoming a swan from its ugly duckling state. 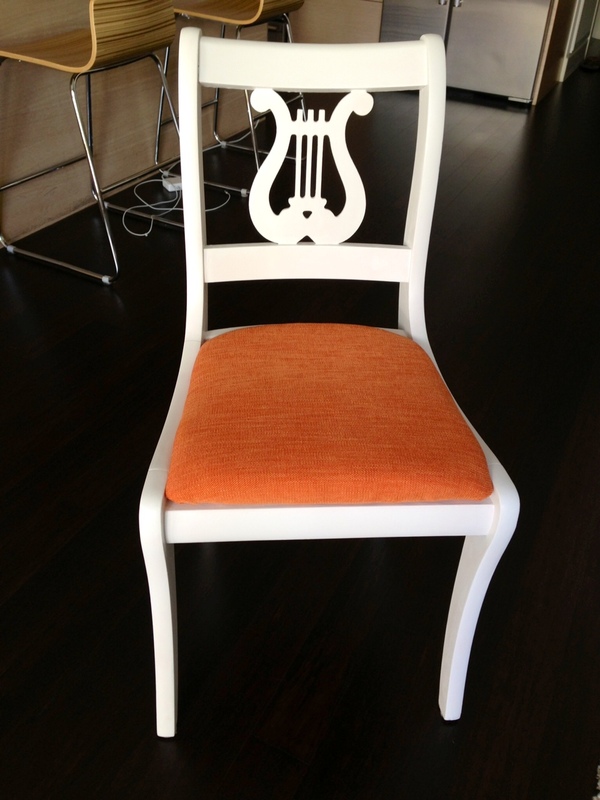 A quick paint job in white to modernize the look and some new upholstery would do the trick. The chair cushion was missing, so it was time for a trip to the fabric store for materials. An art poster served as our inspiration for the colors since the poster will be hung in the hallway I mentioned above. 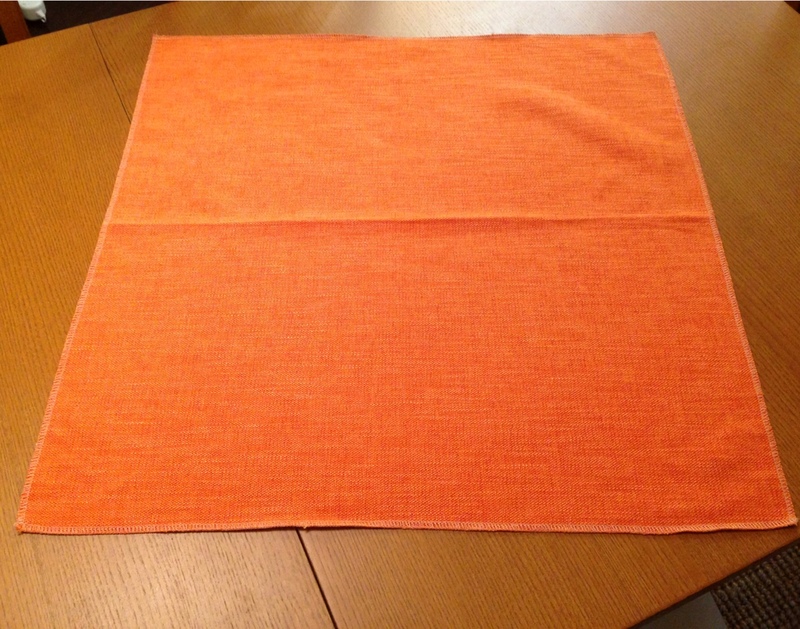 I found a beautiful fabric scrap in a textured orange velour at the Fabric Outlet on Mission Street for $1.29. 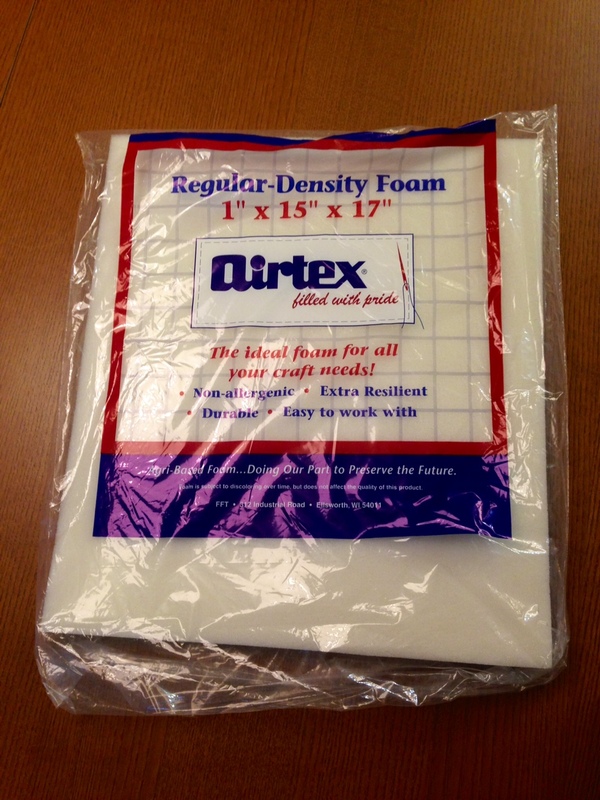 The foam pad was $2.99 and the batting was $1.95, both from JoAnn Fabrics. 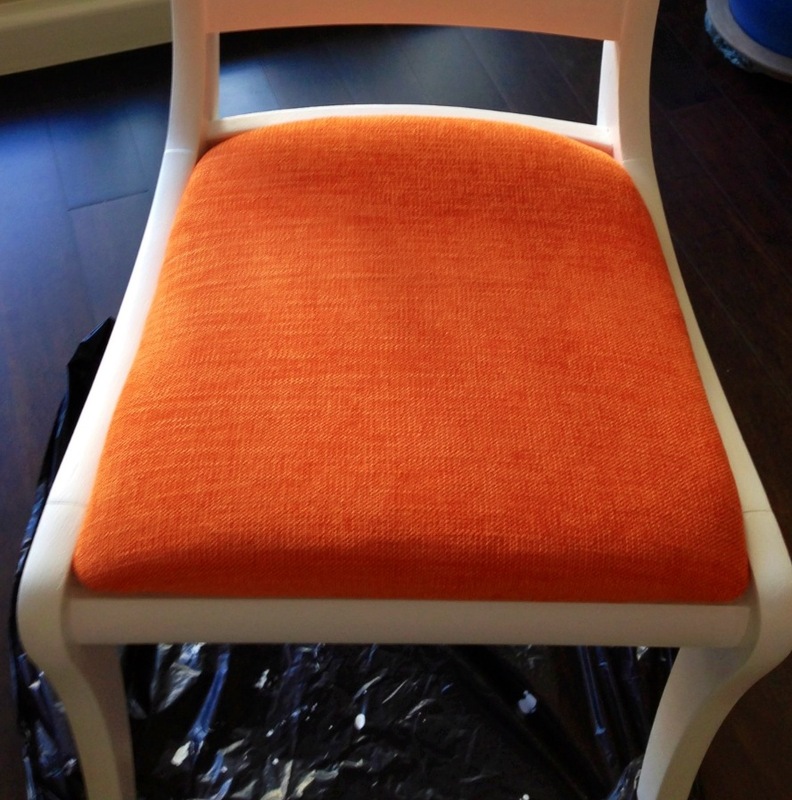 Reupholstering the chair was pretty straightforward. I placed the foam pad under the chair base and using a marker, outlined the base of the chair on to the pad. 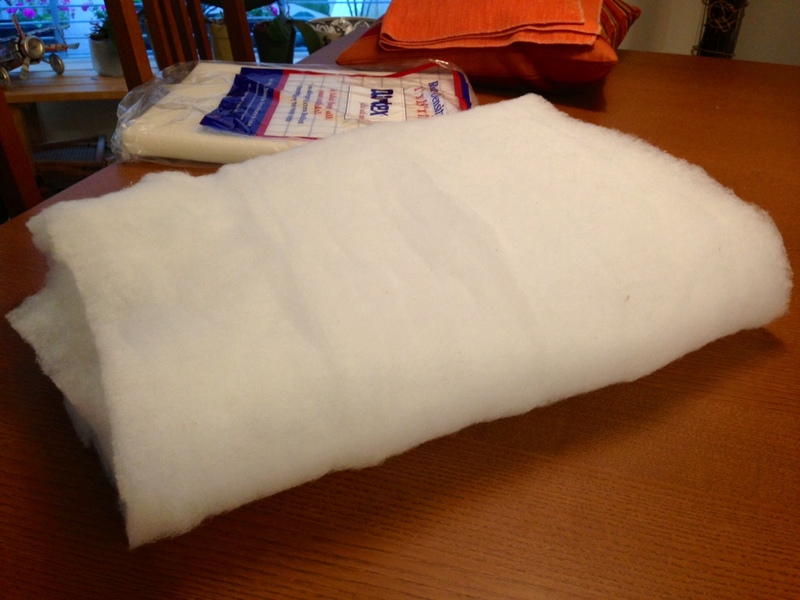 I then cut the foam pad to the size of the base. 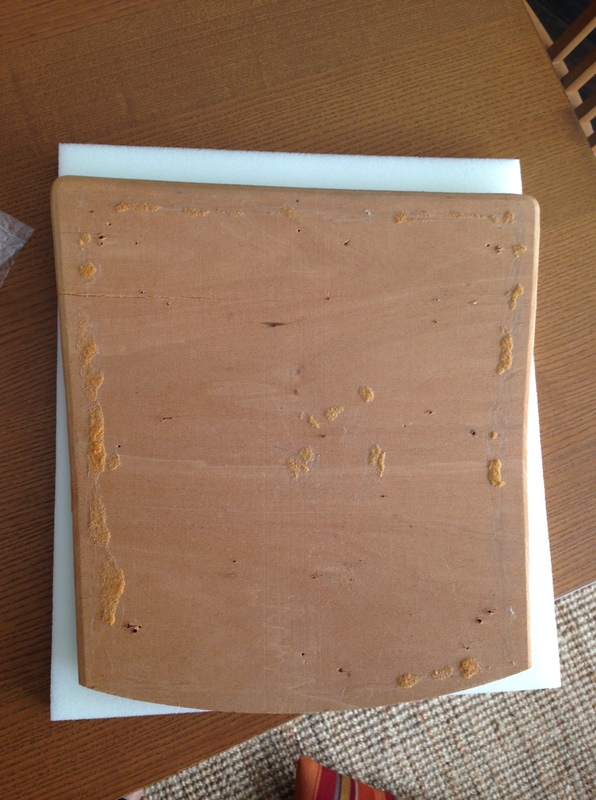 I used adhesive spray glue to attach the foam pad to the chair base. Note: spray in an outdoor area when there is no wind, or you’ll have straw-like hair for a few days. I placed the glued foam pad and base on the batting (the batting should be about an inch larger all around) and placed all of the above on the orange fabric. After getting over my staple gun phobia, what seemed like the LA Riots ensued and a newly upholstered seat emerged from the wreckage. And voila! For about $20, a vision, and a little patience, we welcomed a new addition to our household. 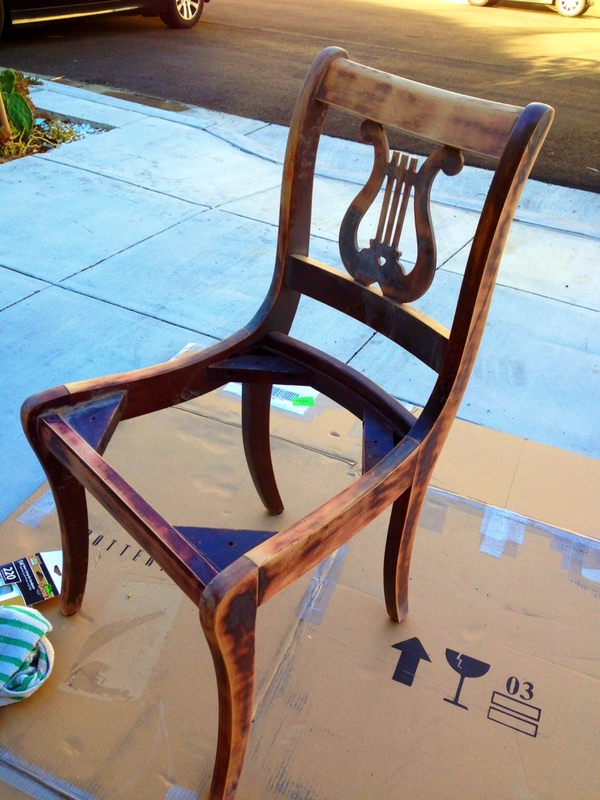 We’ll be using it as an accent piece for a hallway, but there are so many possibilites with restoring old chairs, like piecing together a unique dining set. You can find these chairs just about anywhere. I recently spotted a few at my local Salvation Army selling for as low as $2.50 a chair. It doesn’t matter that the chairs don’t match – as long as they have some elements in common (curved legs, backs, 40’s style, ornate, etc…). If you paint all of them the same color and use the same fabric for the chair cushions, it will give your dining area a unified look with an interesting twist. You’ll be saving a life and bringing your vision to reality, so enjoy! Thanks Jerome! It was a fun project that was quick and easy. A no-brainer that cost close to nothing. 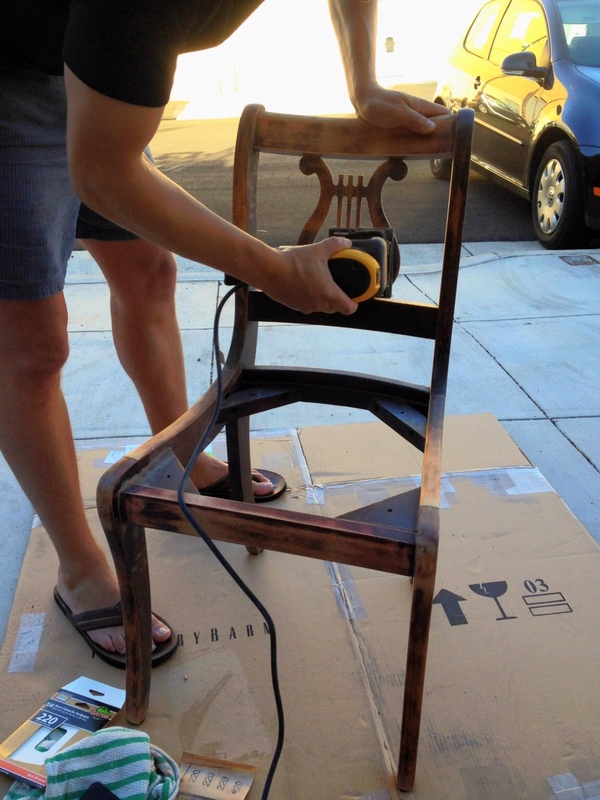 Everyone should be refinishing chairs!